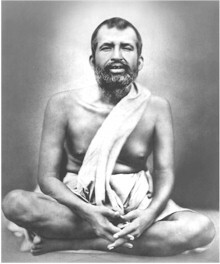 Yogacharya didn’t really begin his spiritual work until after he retired. His real spiritual work began for the most part after the Mahasamadhi of his master Paramahansa Yogananda. He began his work in relative obscurity. Yogananda put him to his great work. Yogacharya said that at his first philosophy class he only had two people show up, but by the late 1960’s he had a few hundred people at his Sunday Services at the Detroit Institute of Arts main auditorium each week. He was always true to his master’s teachings, never taking any credit for himself, giving all praise to his Guru. Although, he was well qualified and encouraged by Self Realization Fellowship and Yoganada himself to ‘ad lib’ the Sunday Services, he always read Yogananda’s Sunday Service lectures as written. His comment was always that he couldn’t improve on Yogananda’s teachings. Yogacharya and others began to record the Sunday Services in the mid 1960’s and this continued until 1970. Also during this period a disciple named Eileen Jasnowski began to record the fellowship meetings that followed the Sunday Services. These were candid spontaneous sessions in which the joy and wisdom of Yogacharya were put on display for all to see. My first meeting with Yogacharya in this life was in March of 1972. A brother disciple & I heard there was an SRF meditation group that met at the Detroit Institute of Arts on Sunday Morning. We decided to go. We arrived late and had to search for a place to sit in the dark auditorium. Once in our seats, we were irritated by this little old man in a business suit who kept talking throughout the meditation period. Of course unbeknownst to us this little old man was Yogacharya. In a few months we had a completely different perspective. The Sunday Services and Fellowships at The Detroit Institute of Arts were my first personal experiences with Yogacharya and convinced me of his vast realization and his relationship with me. Many of the recorded meditations, lectures & Fellowships have been preserved and digitized. These recordings are a treasure & a joy and it is my privilege to make them available to all truth seekers. From the second chapter of the ‘Bhagavad Gita’ The Book of Doctrines, fifteenth verse, the Sir Edwin Arnold Translation. “He who shall draw As the wise tortoise draws its four feet safe Under its shield, his five frail senses back Under the spirit’s buckler from the world Which else assails them, such an one, my Prince! Hath wisdom’s mark! Things that solicit sense Hold off from the self-governed; nay, it comes, The appetites of him who lives beyond depart,aroused no more. Yet may it hance, O Son of Kunti! that a governed mind Shall some time feel the sense-storms sweep, and wrest Strong self-control by the roots. Let him regain His kingdom! let him conquer this, and sit On Me intent. That man alone is wise Who keeps the mastery of himself! If one Ponders on objects of the sense, there springs Attraction; from attraction grows desire, Desire flames to fierce passion, passion breeds Recklessness; then the memory all betrayed lets noble purpose go, and saps the mind, Till purpose, mind, and man are all undone. But, if one deals with objects of the sense Not loving and not hating, making them Serve his free soul, which rests serenely lord, Lo! such a man comes to tranquillity; And out of that tranquillity shall rise The end and healing of his earthly pains, Since the will governed sets the soul at peace. From the sixth chapter of the ‘Bhagavad Gita’ The Book of Religion By Self-Restraint, fifth verse, the Sir Edwin Arnold translation. From the sixth chapter of the ‘Bhagavad Gita’ The Book Of Religion By Self-Restraint, eighth verse, the Sir Edwin Arnold translation. After the Meditation period Yogacharya would read one of Yogananda’s Sunday Service readings. Occasionally he would conduct a marriage or Christening after the lecture. After the service Yogacharya & a group of people would meet for fellowship time. These were at various restaurants and finally at a private room in the Detroit Institute of Arts. This was a unique opportunity for devotees to see a real master yogi in action and receive darshan. These meetings would go on generally for an hour or two. The beginning of the fellowship was a social gathering, but after a while the crowd would thin out and Yogacharya would answer spiritual & Philosophical questions and regale us with his spiritual experiences & wisdom. His ever expanding joy was intoxicating. His example often reminded me of the saying ‘A Saint that is sad is a sad Saint’. Yogacharya was anything but. During these Detroit years Yogacharya was quite a American Yogi Pioneer. In the 1950’s he started a Hatha Yoga teachers organization called the Self Realization Fellowship Yoga . Teachers Association. In 1976 the name of the organization was changed to the Golden Lotus Yoga Teacher’s Association to avoid conflicts with Paramahansa Yogananda’s organization. During the late sixties and early seventies we had well over 100 Yoga teachers in the association from all over the country. Most of the teachers were from Detroit, Chicago, Toronto, and Milwaukee. It gave us a great sense of purpose and comradery. Mr. Black ran the association much the same as he would run a business. We had semi annual business meetings which became great social & spiritual events for all the teachers. These later evolved into semi annual banquets that became fund raising banquets for Song of the Morning Ranch.